David was the fourth child born to parents Delbert and Vera (Haupt) Bauer, in Mitchell, SD, on April 5, 1951. The family relocated many times in his young life, moving to Lander, WY in 1959 and later relocating to Casper in 1965. He graduated from Kelly Walsh High School in 1969. He hosted the Kelly Walsh 1969 class reunion meetings for many years. He attended Casper College, studying Accounting and General Business. Dave served his country as a member of Wyoming's Air National Guard, with honorable discharge in 1977. He was preceded in death by his parents. 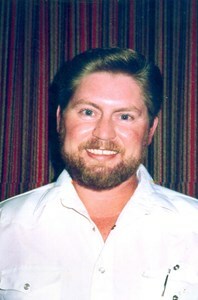 He is survived by his loving wife Cheryl; sons, Christopher (Shelly), Cory (Tambra), Chad, and Curtis, all of Casper. Also survived by siblings, Deanna (Gene), Gary, Randall (Casey), and Leonard, and grandchildren, Dakoda and Ashlynn, and numerous uncles, aunts, nieces, nephews, cousins, and friends. To share a memory, please click the share memories button above. Add your memories to the guest book of David Bauer. Dave was my best friend in 9th grade when he moved to Casper. We spent many nights cruising CY on his Honda after he got his license . From there we graduated to drag racing. Dave with his Bonneville & me with my GTO. Dave was one of the most positive people I have ever known. Always ready to help. Always with a smile. I will miss him greatly. My sincere condolences to Cheryl & his family. Dear Bauer family. It has been a great honor to know all of you and you have my most severe sympathy and condolences. David was a good man. A very tragic loss to this world. It was an honor to have known him. I remember your High School graduation and how cute you were - also playing pool with you at the Bauer's home - every time I saw you it was like I had just seen you yesterday. Many Blessings! Cheryl and family, we are thinking about all of you during this difficult time. Many great memories over the years with you guys. Dave, RIP my Friend. missed and fondly remembered. God bless and rest in peace my friend. Cheryl, I am so sorry for your loss. I cannot be there for the services for Dave, but please know that my heart will be there with you. My love goes out to you. Please call me. 719-390-7962. Phyllis (Lattea) Swenson. DAVE YOU ARE THE LOVE OF MY LIFE, AND I WILL LOVE AND MISS YOU FOREVER. HURTING RIGHT NOW. UNTIL WE MEET AGAIN MY LOVE HUGS AND KISSES FOR YOU. Dave you will dearly be missed you were a great friend my prayers and sympathy is with your family. I will toast you for all the memories you gave me and many others at our class reunions . You will be sorely missed at our 50th. Thank you for your friendship. With deepest regrets we send our dearest sympathy. No one can ever imagine the pain this has on someone. It is hard to find the words that will help ease the pain. Cheryl we send our love and prayers to you and your family. My heart and prayers go out to you all for our tragic loss. I have a lifetime of memories of visits to Casper to see my cousin David for which I am forever thankful. Please take good care of each other. Your cousin, Cindy Bauer, Alvin & Darla's daughter. Dad and Mom are regrettably physically unable to make the long journey from Norfolk, NE but also send their deepest sympathies. We all pray that God will bring peace and understanding in time to all who loved David. Graduated with Dave drank our share of beer together and had a lot of great times. So sorry for his family and my prayers to them Dave will be missed by all of the Class of1969!!! I am so very sorry for your loss. You have my deepest sympathy. I would like to come out there to be with each of you. The winter is coming so won't be able to make it. Each of you will be in my thoughts and prayers. Take care of each other. Dave will be missed by so many ! I am so shocked to read this. Dave was the best Kareoke DJ Casper could have known. To Cheryl and Family my sincere Condolences. He will sorley missed by Many. All my love to the family. Cheryl, when I think of Dave I see his radiant smile and eyes that sparkled. His love for you and his family was obvious to those who saw you two together. My heart is full of love for you my sweet Cheryl, as you showed your love for Dave every day. I'm only a call away. Dave is gone but not forgotten. :-( I am so sad to hear of Dave's passing. There are no words to help comfort at this time so I will say My thoughts & prayers go out to you Cheryl & family. I am so sorry to hear about this loss. David was a great person and yes his singing abilities were beyond great. I remember him and I singing together many times. May he rest in peace and my thoughts and prayers go out to Cheryl and the family.